love, love, love to write? have trouble getting started and stare at blank screen, only to give up and go check instagram? need a creative outlet for all the angst of growing up? want to discover bold new writers outside what’s covered at school? wish you knew other emerging and established young writers like you? dream of becoming published and want to give your writing a compelling edge? I get it. I was there too, as teenager and a twenty-something who longed to write works that were striking and caught the attention of editors, works that got to the guts of what I really wanted to say and struck a chord with readers. Fast-forward a few years, and now I’ve been published in literary journals and newspapers (including the New York Times). I’ve won awards. I have books with my names on the spine. I’ve taught creative writing and discovered what doesn’t work, and what does. Raise Your Voice is a self-paced online creative writing workshop designed to show you the way to your writing talent and creativity. All of this is available to you at any time as you log into our password-protected student page. 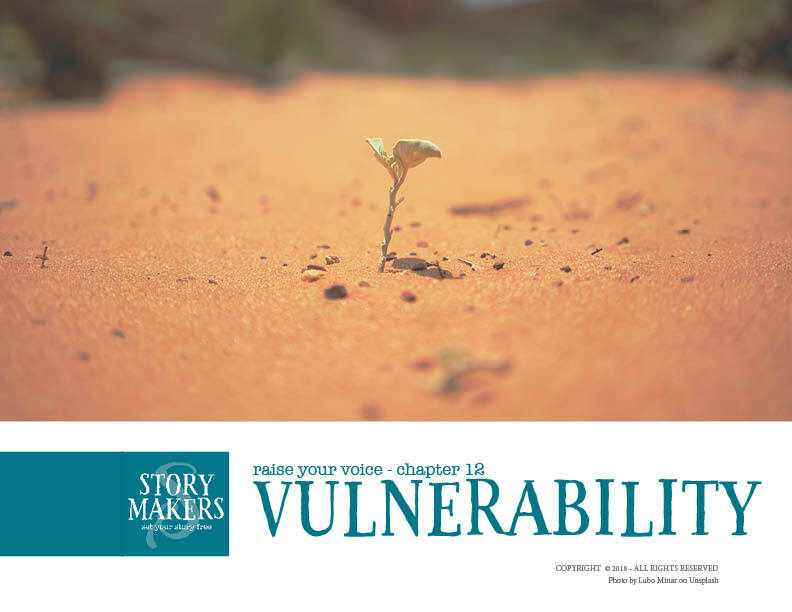 To help you connect with likeminded writers, share your writing and reach higher, you receive access to a private Storymakers Facebook group for all Raise Your Voice students. PLUS, as a member of the Storymakers tribe, you continue to receive amazing author interviews, writing tips & prompts, and workshop offers straight to your inbox! Do I need to have previous writing experience to take this course? This course is beneficial for new writers and established writers alike. Becoming a good writer is a life-long journey and you learn something new from every mentor. I hope to inspire, to spark creativity and to nurture voice. What age range does this course suit? Storymakers was designed with young writers in mind, from teenagers to twenty-somethings. I say 16 and over because some of the content contains mature language—not much, but some. I've been mindful to indicate such before any of the content is viewed. Do I have to do the lessons all at once? Not at all! This is a self-paced workshop. All of the lessons will become available to you once you register and you can then go at your own speed. You could do one lesson a day over 12 days. One a week for 12 weeks. One a month for 12 months—or anything in between. The beauty is that you make it work for you in your own time and in your own space. Does it matter what genre I like to write in? These lessons are set up so that you can work in any or all genres. There are plenty of writing prompts throughout and they all work in your preferred genre. However, it’s always fantastic to flex your creative muscles and try writing in new genres. Do I need access to a computer to take the course? Yes! The lessons are available here for you to download, and within each lesson, you access an amazing swath of readings, interviews and videos via links. However, we strongly encourage our storymakers to go offline to do the real writing work of their own. How long will each lesson take me? Each lesson contains writing prompts, links to videos, interviews and readings. If you were to do it all from start to finish, it would likely take you about two or three hours per lesson (maybe more. Some of the prompts will hopefully inspire longer writing sessions). The beautiful thing about doing this in your own time is that you can go at your own pace and spend just as much time as you like on each of the elements. Get inspired and get your writing noticed with Raise Your Voice, a 12-lesson online creative writing course for young writers. Just click ‘enrol now’ so we can send you the course login info, and then checkout your cart at the top of the page!